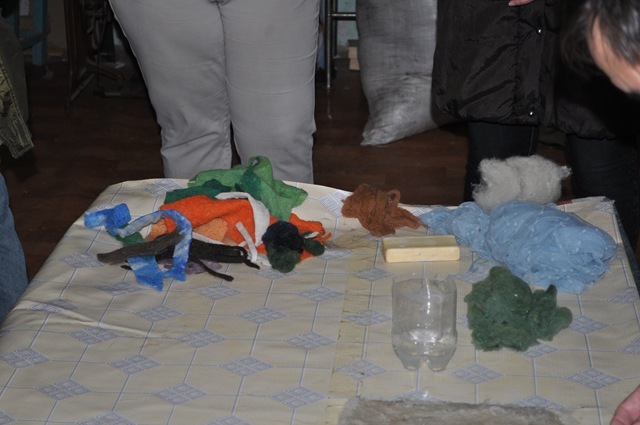 This past Thursday the Darhan MK school went on a field trip to visit a Mongolian Felt Artist. 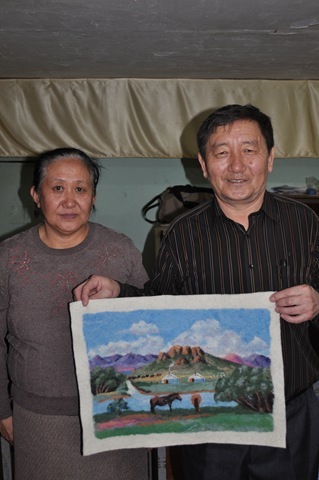 Jargal Saihan and his wife are committed Christians who make their living by portraying Biblical and Mongolian scenes in felt. 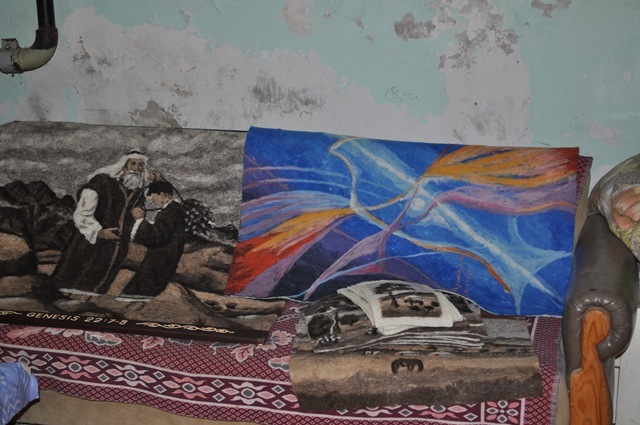 Felt-making is an art that developed in Mongolia. 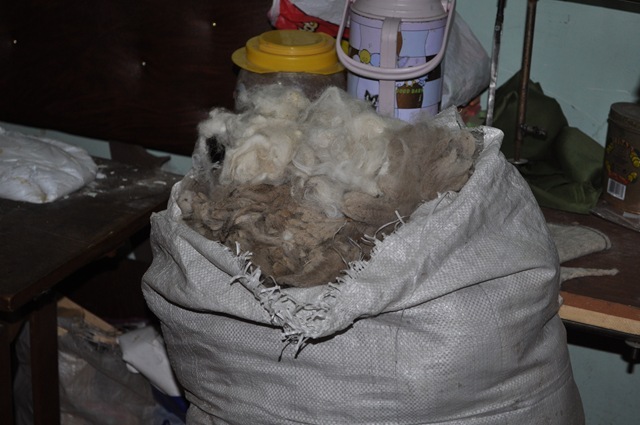 It is used for footwear, clothing, and most importantly for gers – the traditional Mongolian home. The felt is light but strong. 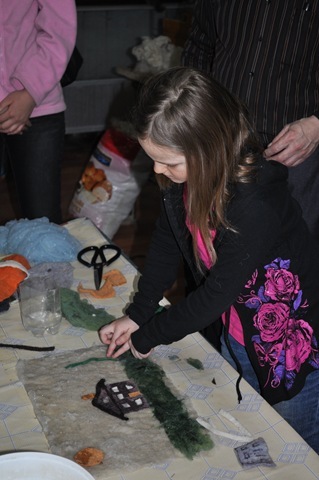 The artist told the kids that a felt picture was found in a burial mound from almost 1500 years earlier. Step 2: Card the Wool. Jargal Saihan built this machine himself. 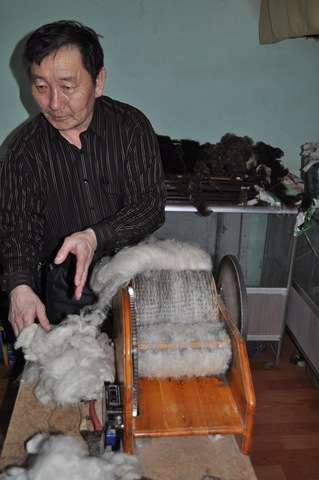 He runs the wool through it four or five times to break up the knots and comb it out. He also dyes the wool for the colors he needs. I think he said he has over 60 different colors that he can create. Step 3: Wet the Wool Jargal Saihan wets the wool in preparation to add other colors of felt and pieces to create the desired picture. He had all the kids work together to create a house. Step 5: Soap Together. 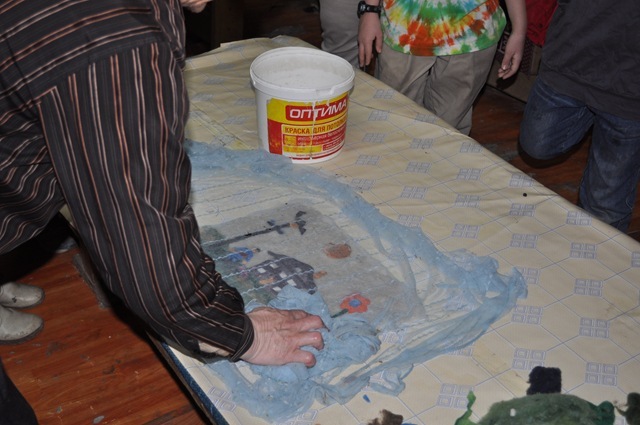 A mesh is then put over the picture and it is rubbed vertically and horizontally with soap to help bring the fibers of the felt together. Step 6: Rinse and Let Dry. Its amazing that the picture is so strong that it can be wrung out! it is then left to dry.